Formerly part of the Denver & Rio Grande Western Railroad, much of the company’s narrow gauge track was officially abandoned in 1969. In 1970, the states of Colorado and New Mexico jointly purchased the 64-mile portion of the line from Chama, New Mexico to Antonito, Colorado, along with most of the steam locomotives, rolling stock and other equipment that had operated on the railway. 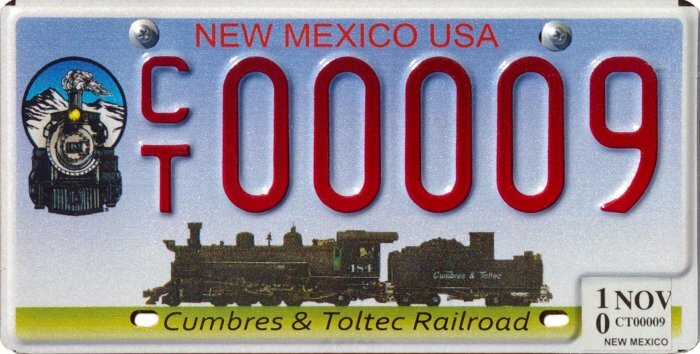 This line was then renamed the Cumbres & Toltec. A private company, under contract to the states of New Mexico and Colorado, operates the line as a scenic railroad for tourists.